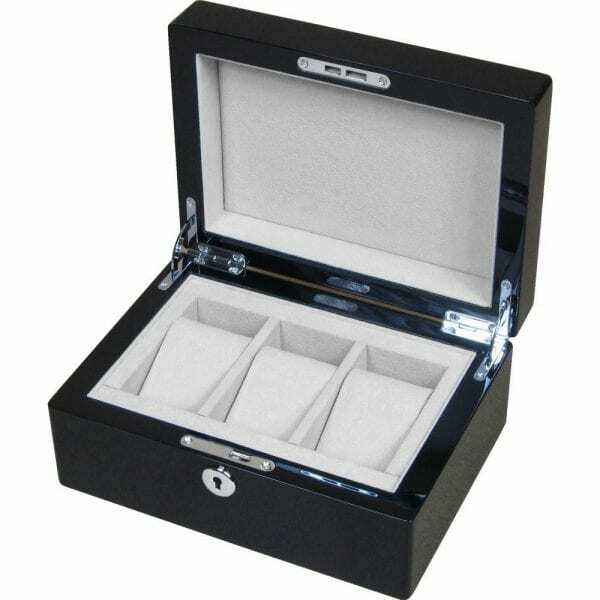 This 3 watch box is made from the finest high gloss Piano Black lacquer. It has 15 coats of glass lacquer giving it a high gloss shine. 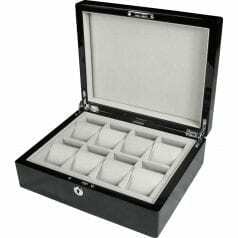 It is lined with soft simulated suede to protect the watches stored inside. 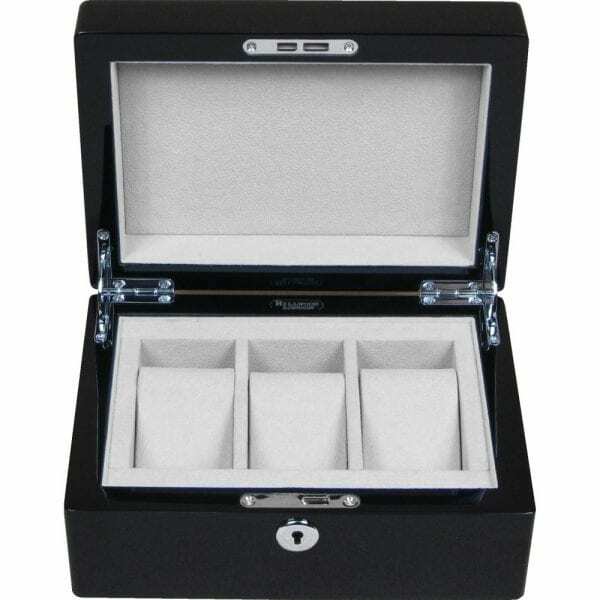 It has storage space for 3 watches on the removable soft padded cushions. Each cushion will take a watch up to 5.5cm in diameter. 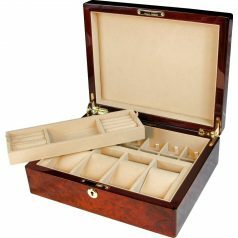 It has a key lock to keep it closed and secure. 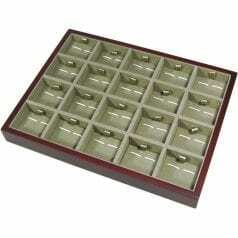 Perfect for a gift or any collector. 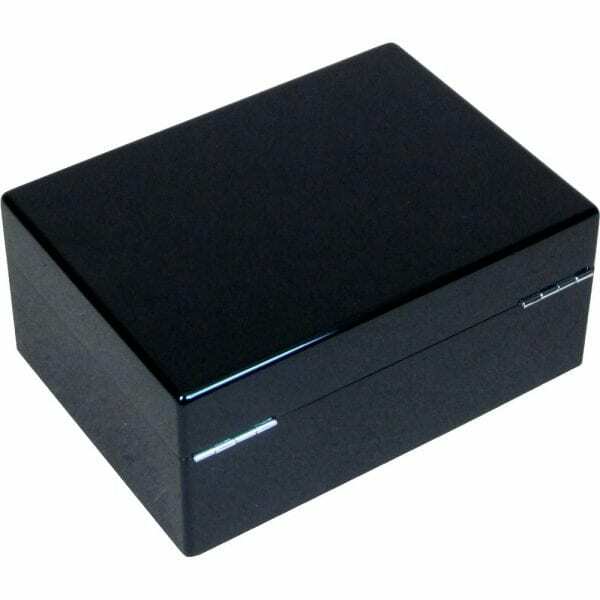 It comes packed in an outer presentation box.